At Melton Mortuary & Cremation Center, we believe that a comfortable environment is an important factor in creating a memorable tribute to a loved one. Our ongoing mission is to maintain a funeral facility that is always peaceful, neat, and orderly. As many friends and relatives travel from different locations and walks of life to attend funerals, we want the families we serve to be proud of choosing our funeral home facility. 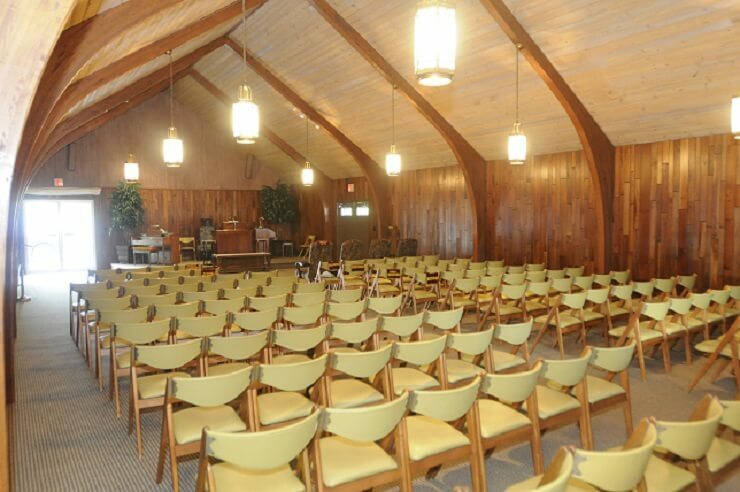 Our spacious chapel features seating for over 160 people plus an overflow room for additional seating. Originally built in the 1940’s, our facility has had four major enlargements, plus remodeling, and numerous updates. Our goal is to make family and friends feel welcome. In addition to the sanctuary, we have other amenities to accommodate to your family and guest needs. Our arrangement room provides a space where families gather around a large table to plan a celebration to honor the life of a loved one. All public areas of our facility are located at ground level for easy access. We also have a wheelchair available if needed. As far as transportation, our modern, clean, and well-maintained vehicles are an additional testament to our commitment to providing only the best of memorial services to our client families. For those needing funeral home facilities, Melton Mortuary & Cremation Center is conveniently located in Beckley, West Virginia. Contact us today for assistance.